File organization and having a good backup strategy for those files is extremely important for photographers. Many if not all of our images are one of a kind and irreplaceable. 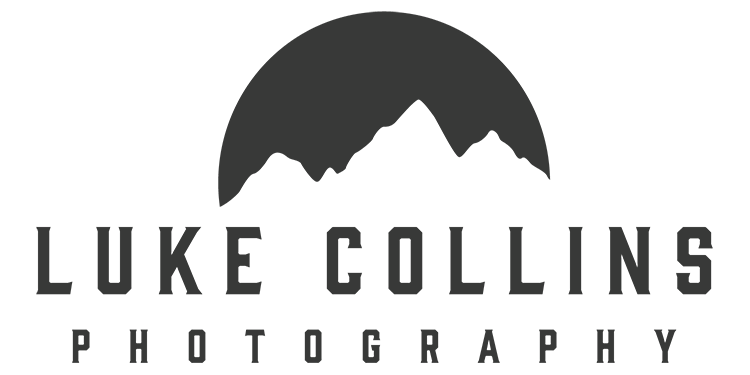 These images could be once in a lifetime shots from a beautiful sunset on a trip or a client’s wedding and if we lose these images they would be gone forever. It’s not like we all can easily replicate a picture from a vacation and weddings are one time events. So we as photographers, and this goes for everyone from hobbyists to professionals, need a plan for the unthinkable. This type is a disaster can come in many forms. The most obvious is natural disasters. You could have a flood, fire, tornado, hurricane, or any other event that could cause the destruction of your home and its contents. Theft is another reason for additional copies of your data. If someone comes into your home and steals your computer then they now have all of your images. Data corruption and hardware failure is one more common reason you need a good plan. Sometimes files just go bad and become unreadable. Hard drives will also eventually go bad and fail after time. If any of these things happen to you without a backup strategy in place, you will be out of luck. A need for backup is not a question of if, but when. So without a solid plan, you risk losing your files forever. Backup is pretty simple. It’s a copy of your data. If you have all your images on your laptop’s hard drive and copy them all to an external hard drive, you will now have two copies of each file. The originals will be on your laptop and the files on the external hard drive will be the backup. 2018 > 04 – April 2018 > Red River County Park. “2018” is a folder for all my images from this year. “04 – April 2018” will contain all of my images taken in April of 2018. “Red River County Park” is a file containing all the images from a shoot that I did at Red River County Park in April of 2018. A good backup strategy includes something called 3-2-1 Backup. Here is a description of the 3-2-1 Rule for backups. This rule basically requires 3 total copies of your data. You need 3 total copies of data. The first copy is your original files on your computer. The second copy is a backup of your originals. You might be asking why two copies aren’t enough. I mean, you have a backup, right? The reason why two copies are not enough is that if you lose your originals and your backup is also lost, you will be out of luck. So you need to make a third backup. In other words, you need your originals, a backup of your originals, and a backup of your backup. Easy! It is important that your first backup that you have on-site on a different hard drive. You can’t just copy your files to another folder on your computer because what if your computer or hard drive fails? If this happens your backups will be gone just like your originals. You need your backup on a separate hard drive for good protection. Then if your computer fails, your backup will remain safe on the external hard drive. Having 1 copy off-site is the final step in a solid backup strategy. This simply means that the third copy (the backup of your backup) needs to be stored somewhere other than where your computer is kept. The easiest way to do this is to copy your third backup to an external hard drive and store it at a friend/family member’s house. This will protect you against theft and natural disasters. If you are unfortunate enough to experience either and your backups are all in one location, you will lose everything. But if one of your backups is at another location, you will have a copy of your files safely kept somewhere that wasn’t affected. 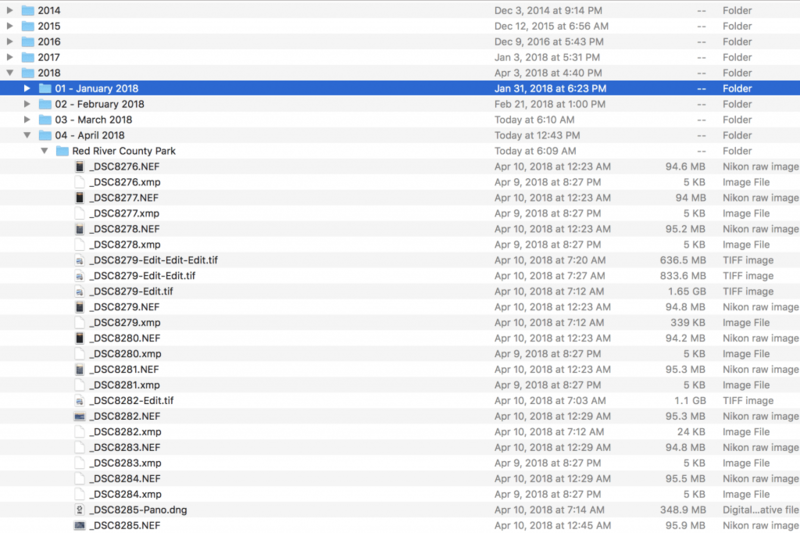 The first step in my own backup strategy is to have all my original files (organized as described above) kept on an external hard drive connected to my computer. This is “Hard Drive #1” and it is where all my originals are stored. Then I have all those files backed up to another external drive, “Hard Drive #2”. I use Apple’s Time Machine to back up to this second hard drive. Finally, I backup all my files one more time to the cloud using Backblaze. This strategy follows the 3-2-1 rule perfectly. I have 3 total copies (Hard Drive #1, Hard Drive #2, the cloud) of every file. I keep two copies (Hard Drive #1 and Hard Drive #2) on-site and on separate drives. This protects my from hard drive failure. Finally, I keep 1 more copy stored off site (the cloud) which protects me from theft and natural disaster. Thankfully I have not had anything major affect my files where I had to completely restore from a backup. Though if that did happen I feel very confident that I would be back up and running in no time. The only reason I have needed any backups was when I needed to recover a file I accidentally deleted or to replace some corrupted image files. I have never needed my off-site (cloud) copies as of now. The only backup I ever needed was my on-site backup (Time Machine/Hard Drive #2). So far so good! Hopefully this post will help you plan your own backup strategy. My strategy is in no way perfect or 100% foolproof, but I think it is a really good plan that will protect my data from almost any calamity.